Beach side lovers welcome to this prestigious home about 800m from the beach. 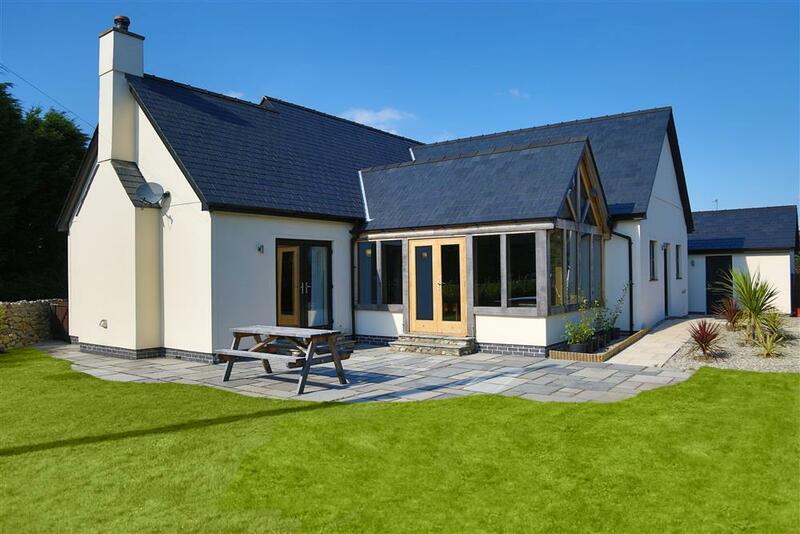 This detached home with an enclosed garden offers a family a great place to dine, unwind and rest their tired heads after a long day exploring the local area. Recently built in 2012, this home has all the mod-cons for your comfort. 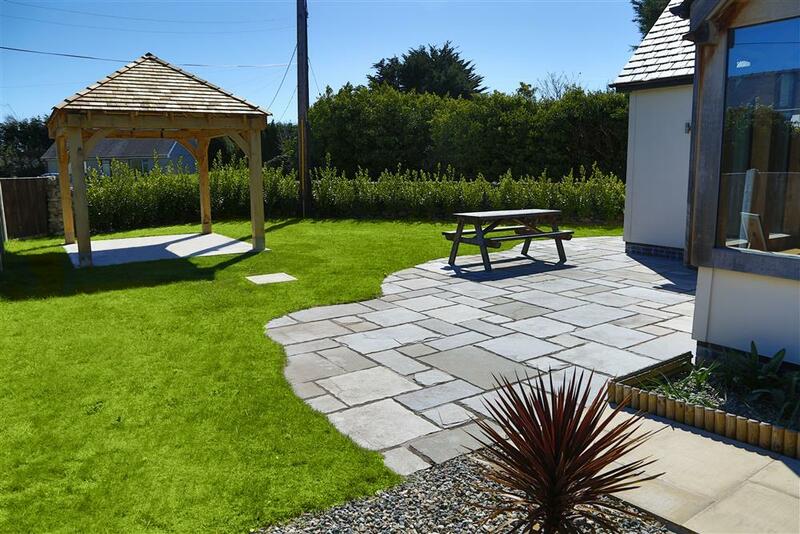 The 18 hole golf course is a ten minute walk away as is the long sandy beach of Black Rock Sands with its sweeping views towards Criccieth Castle and Harlech - the ever-changing picture before you will not leave you feeling disappointed. Well, you are spoilt for choice with beautiful beaches and unspoilt countryside. The village has a shop/Post Office, pub and bus stop with direct bus link to Porthmadog. Porthmadog town (2mls) is of modest size but full of interesting shops, a pretty harbour, and eating places. It is also the terminus of the Little Ffestiniog Railway, offering scenic steam train rides up the valley into the mountains of Snowdonia. 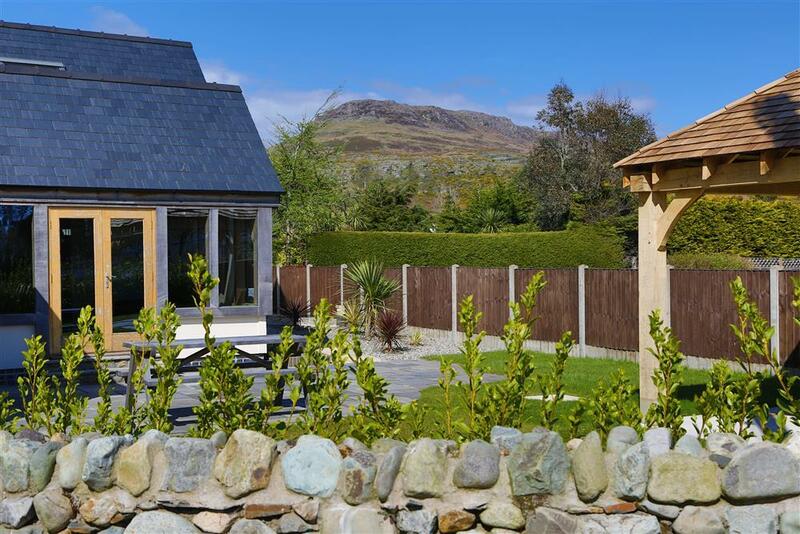 This is a good central location for a holiday cottage in North Wales. 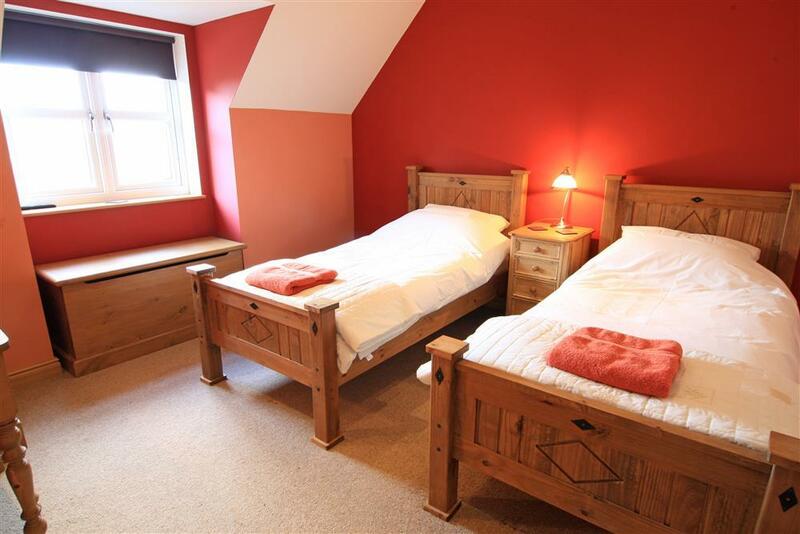 4 BEDROOMS: 1 Kingsize bedroom with TV, 1 Twin bedroom with a TV, 2 single compact bedrooms with TVs (suitable for children). 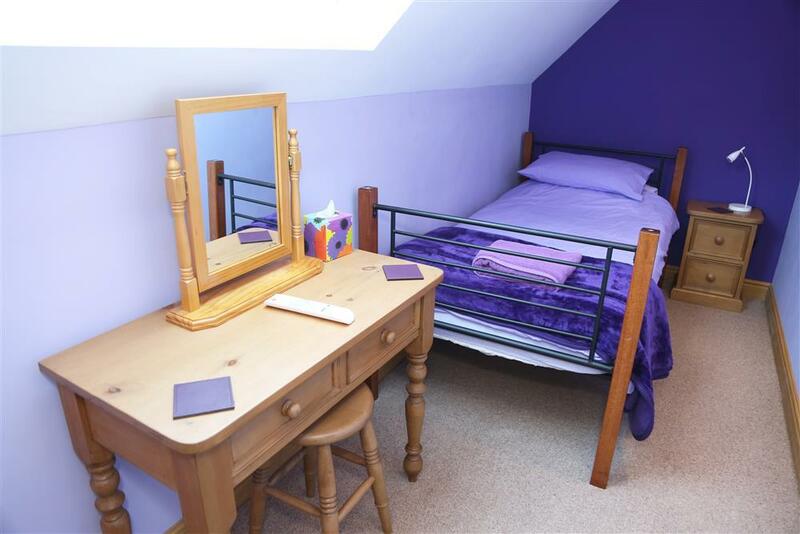 Bed linen, towels and tea towels included. 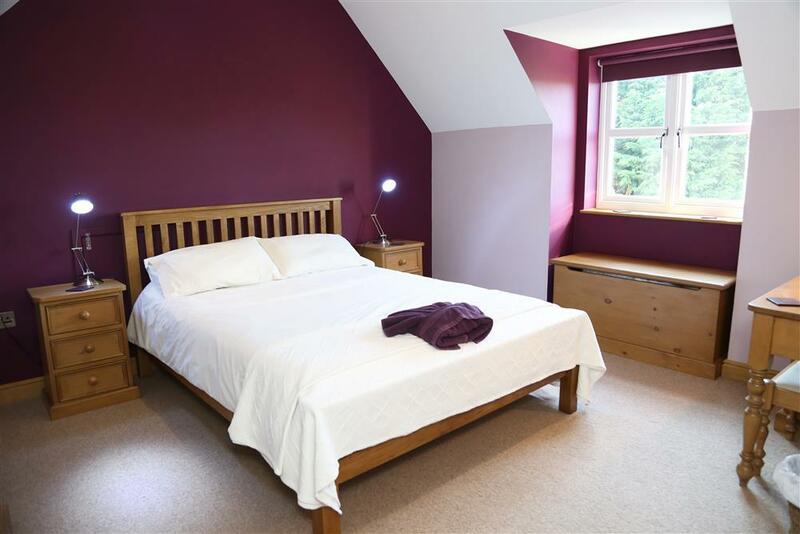 All bedrooms have cupboards, small wardrobes or hanging space. 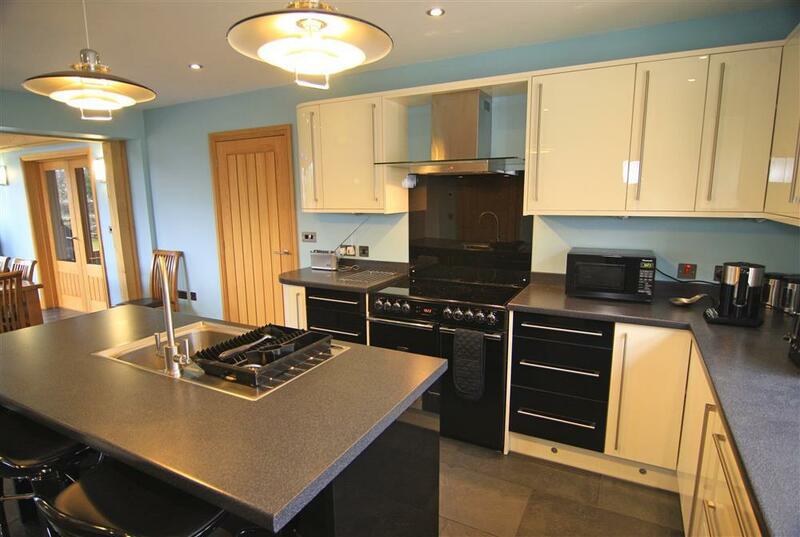 Large fitted modern KITCHEN: Dishwasher, microwave, large range (induction) cooker, island with sink. 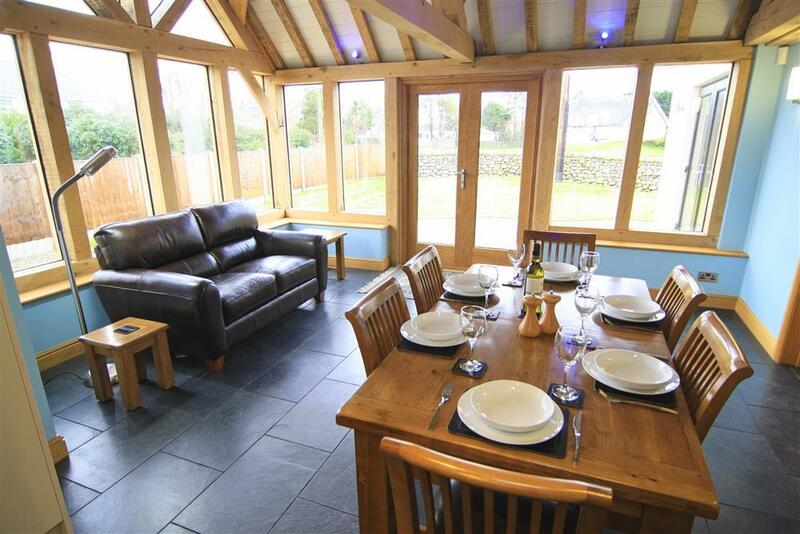 DINING ROOM: Set in an oak sunroom with feature glass window, seating for 6, comfortable seating also. Doors direct to the garden. 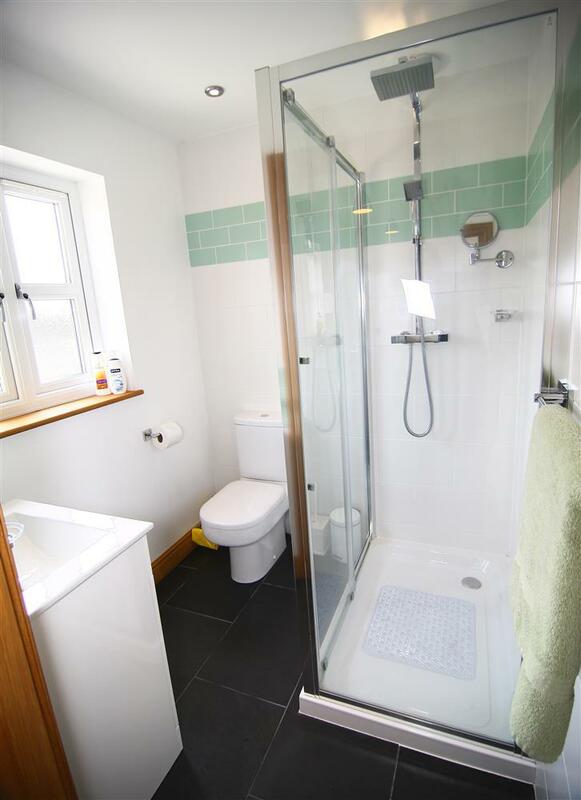 Downstairs SHOWER ROOM: With enclosed shower and drencher shower, WC & hand wash basin. 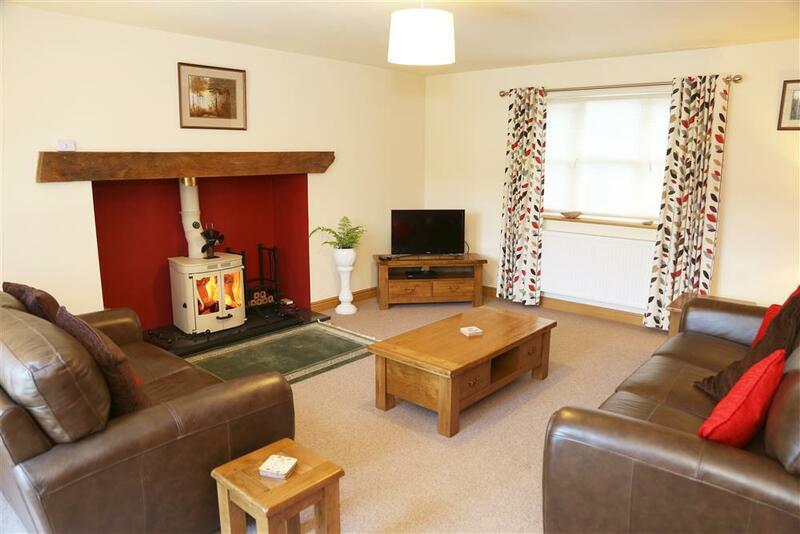 LIVING ROOM: Modern log burning stove, TV, Comfortable seating. 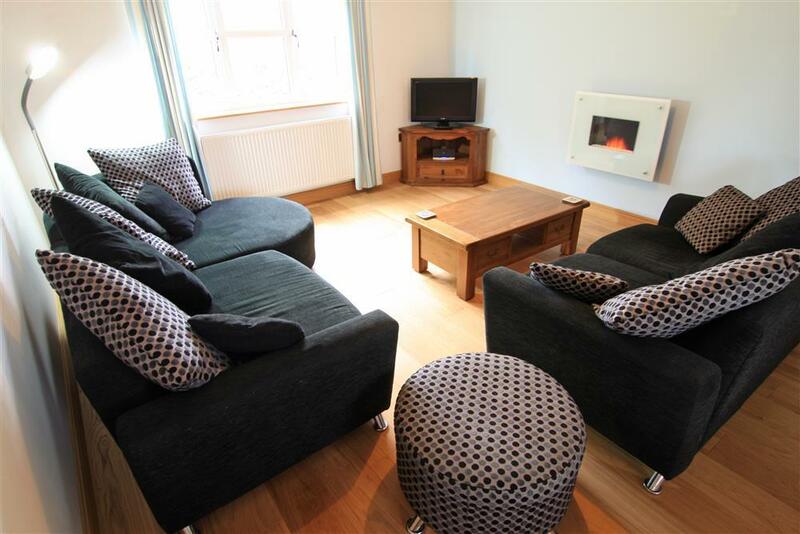 SITTING ROOM: Flatscreen wall mounted fire place with comfortable seating & TV. 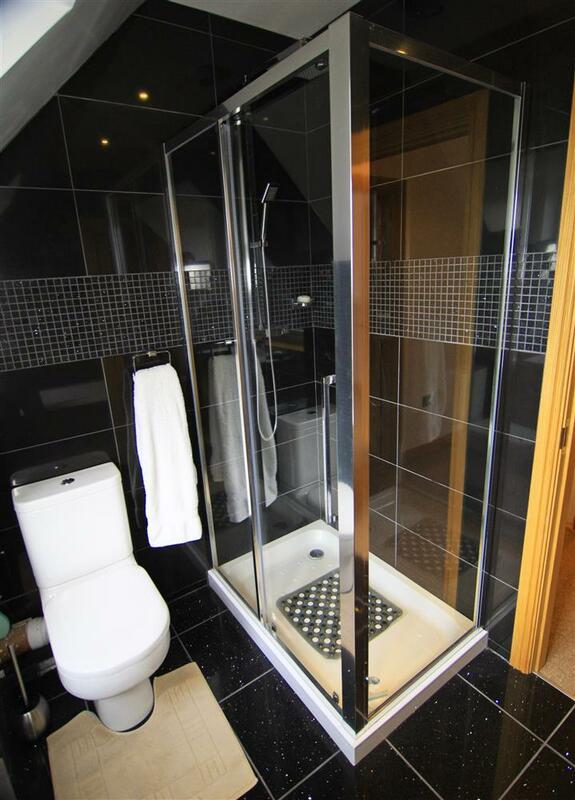 BATHROOM: Modern bath and enclosed shower. 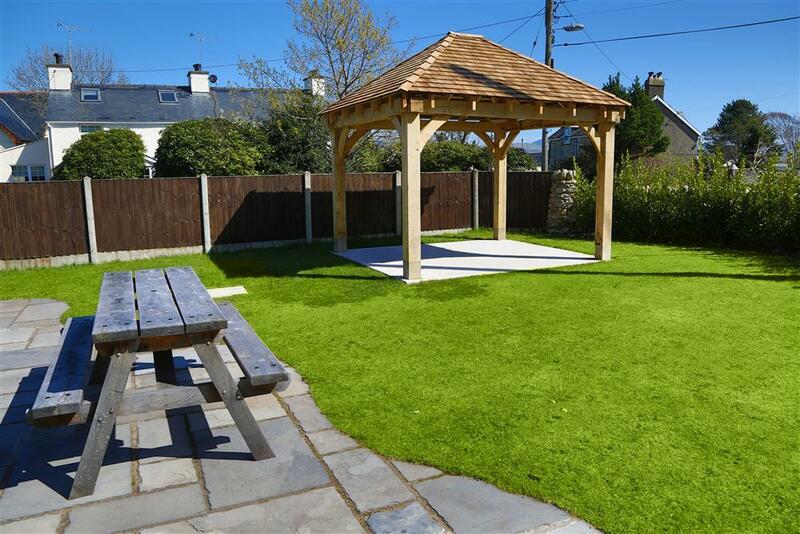 GARDEN: Enclosed garden with patio area with picnic table and bench on each side. 2 sunloungers and 2 deckchairs. A new gazebo. 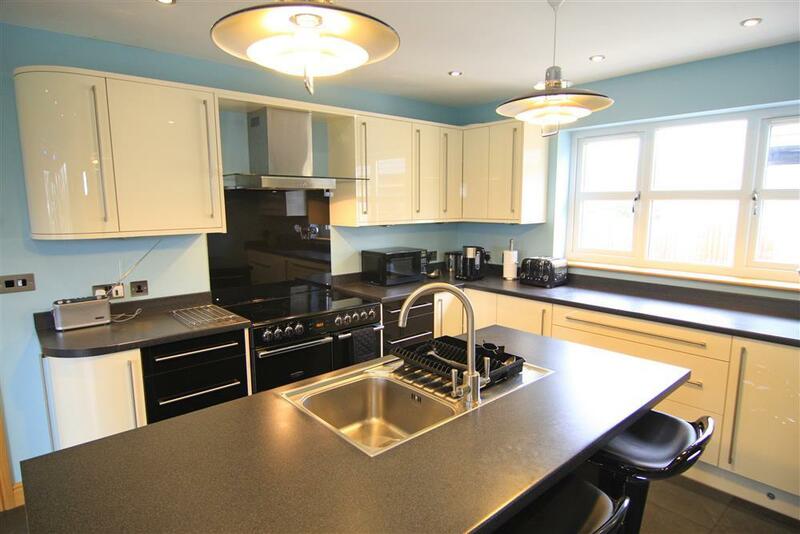 HEATING: Oil central heating throughout the house, under floor heating in kitchen/dining room. PETS: No (but the owners take their own dog to the property, so may not be suitable for those with allergies). FAQ: There are single width wardrobes in the double and the twin. One children's single has a wardrobe and the other has about 36" of hanging space just outside the door in an alcove. 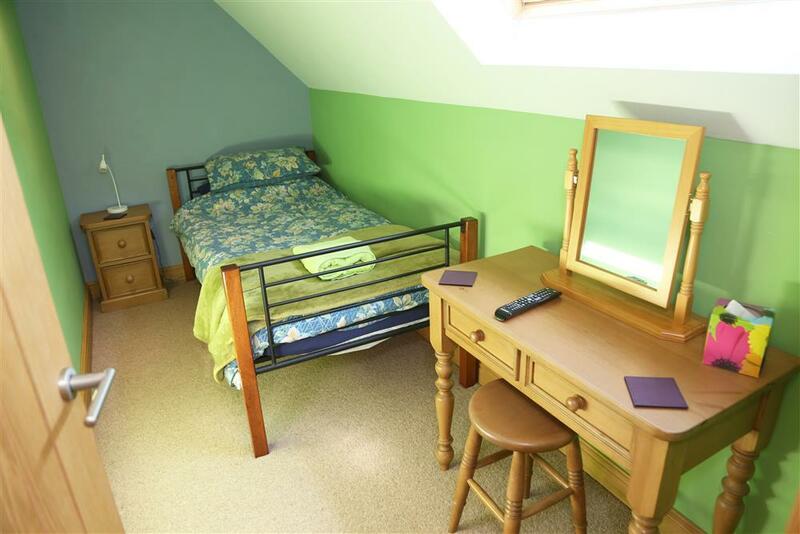 All bedrooms have a dresser, mirror, and stool. EXTRA: NO parties under 25. *** Repeat booking guests get 5% discount off the rent for first repeat booking in a year and 10% discount off the rent on a 2nd holiday if the holiday takes place in the same year. (Excludes July and August. N.b. This discount cannot be applied with another discount). 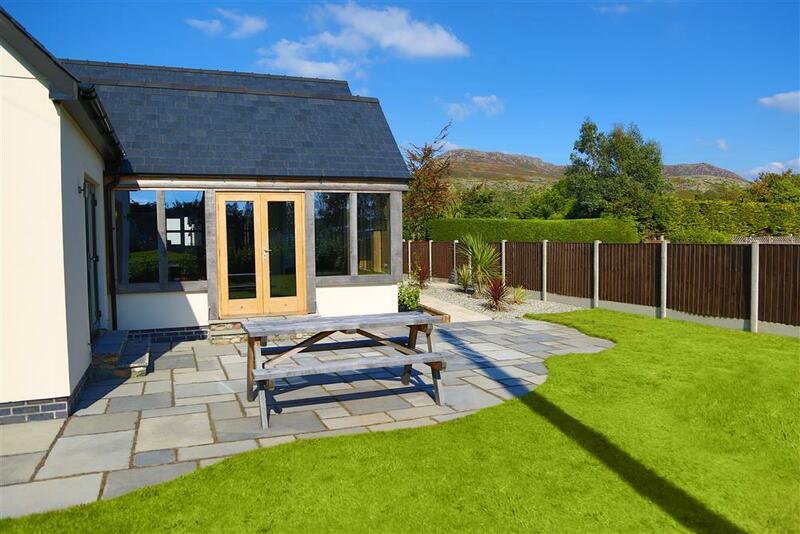 Mini-breaks: This cottage does not allow mini-breaks at any time of the year. 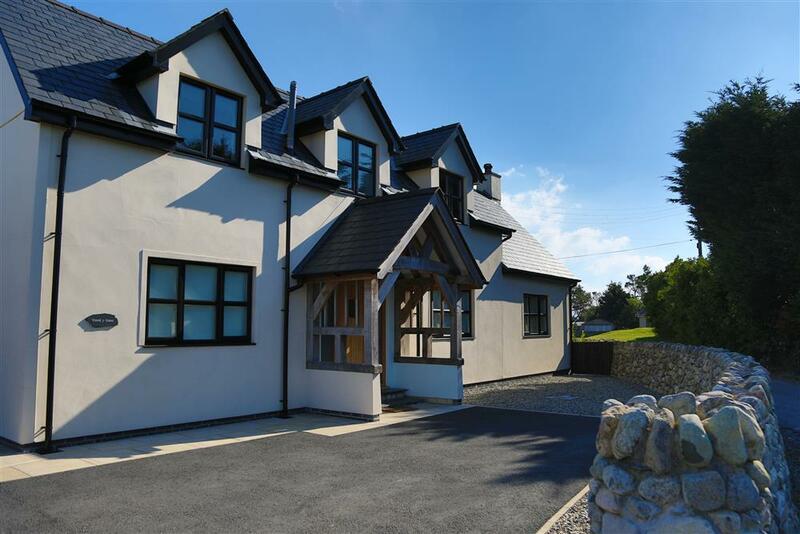 Mrs R (October, 2018): "Excellent accommodation and Porthmadog is a lovely place to visit." The J Family (September 2018): "We've had a great time here. Enough room for all of the family. We would love to come again." The P Family (August 2018): "Great time had by all! Looking forward to coming back already." The K Family (July 2018): "Lovely, well equipped and cared for house. Truly 5 star and fantastic location. Would love to return." The R Family (June 2018): "Another great family holiday spent in this wonderful house... We hope to return again before too long." The O Family (May 2018): "Here for a 2nd time & loved every minute. Coming back to the house every evening has made the holiday a pleasure.... All our family loved and so impressed with the house and surrounding area. We all want to come back again." The L Family (May 2018): "Had a wonderful week visiting all our favourite places.... A lovely house to return to every evening." Mr & Mrs P (April 2018): "This is our 5th time here! Great location and a home from home - love it!" The P Family (March 2018): "Fabulous house, a real home from home." The C Family (February 2018): "A wonderful holiday, a lovely weather and a lovely house." 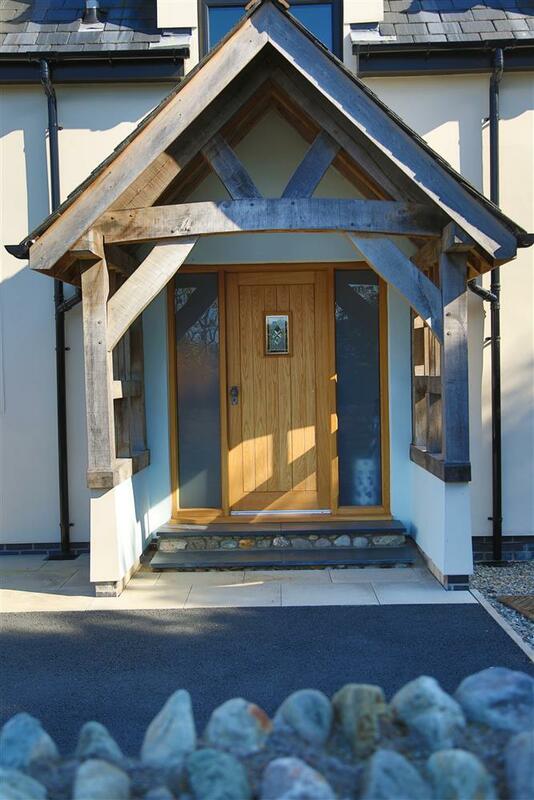 Mr Jones (August 2016): "This was a very good property, ideal for three generations of our family. We enjoyed our holiday." 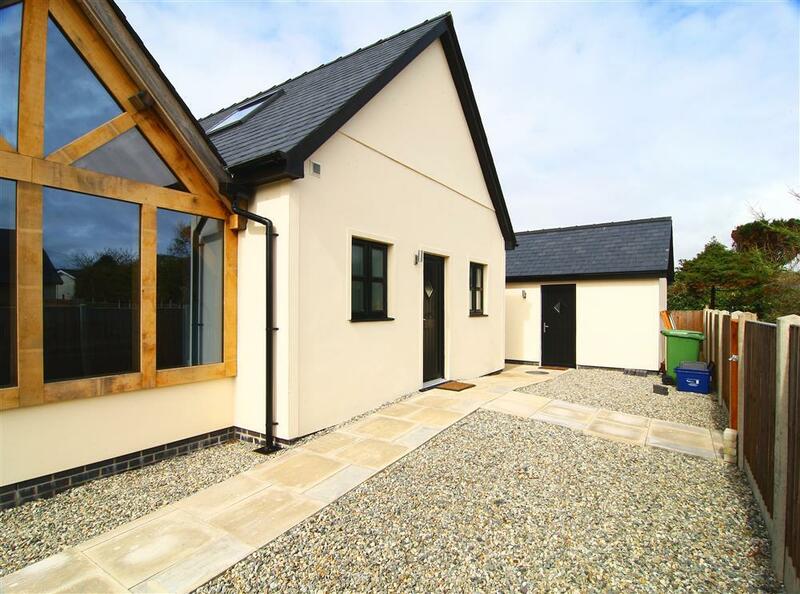 Mrs L (May 2015): "A really super house that is fabulously appointed. Warm and very comfortable with everything in it. Kids were thrilled with smart TV in the bedrooms!" 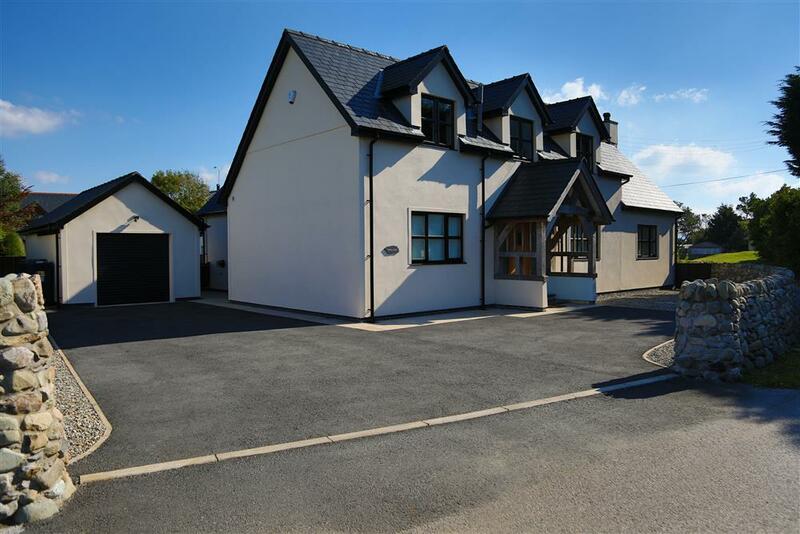 "A modern 4 bedroom detached property located close to Black Rock Sands and the Golf course. 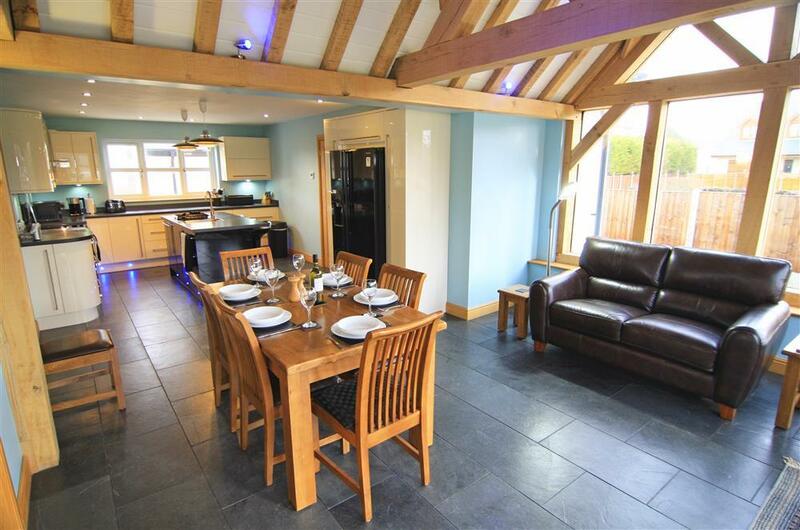 The property is spacious and well equipped, providing a comfortable ambience." Parking on tarmac 5ft from door. 3 easy rise steps to a 29" door. 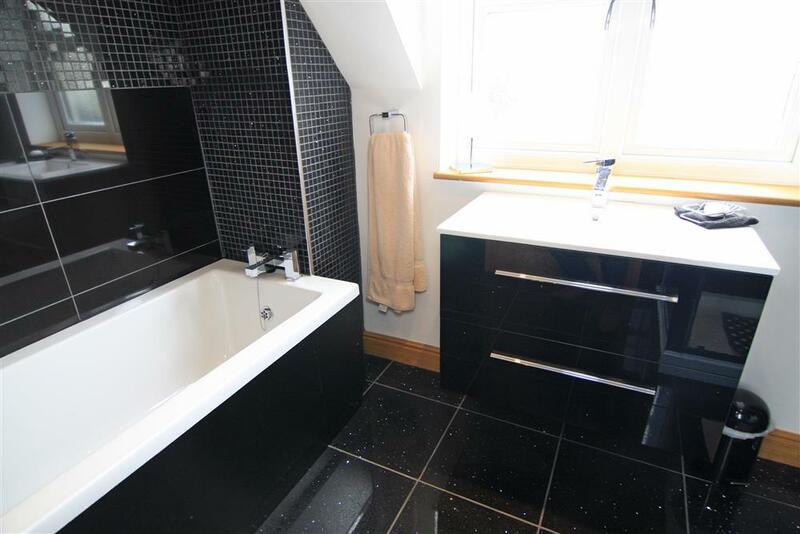 Downstairs WC/shower room with hand wash basin. Narrow 12" gap between sink and cubicle. 4" step to oblong shower 100cm x 80cm. Access through rs door, no step. Wooden floors with carpet runner. Garage: Storage in garage for mobility scooter/bikes has 2" steps. No car space.